Lately, I have been attending a few beauty events thanks to Bella Kinks. This past weekend she invited us to attended Clinique’s Play with Pop event in Dallas to learn more about the brand and obviously checkout some makeup. The company launched there pop lipsticks, which include a range of colors that compliment a variety of skin tones. The event took place around a food truck. The truck went to a variety of popular malls within the Dallas metroplex. 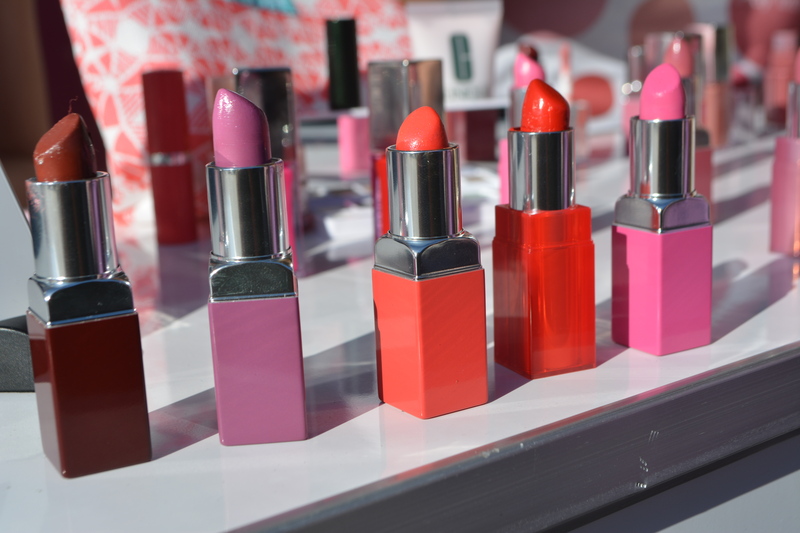 At each stop, the event had product giveaways, popcorn, music and the latest lipsticks from Clinique. I brought along my fried Alexandria Gillard, who is a stylist within the DFW area for some beauty and girl time. With great weather, I let my hair be free in the wind thanks to using a few products to Nunaat’s StraightFromBrazil #patauaoil line. A lot of the colors compliment a variety of skin tones including darker ones. After playing in makeup, we grabbed a complimentary box of Uptown Popcorn then had some fun. It’s true, lip color can change not only your look, but your mood too. Case in point. The popcorn and singing was a blast but I have to be honest, the event didn’t have a big “pop.” The giveaways weren’t from the actual line, which was a major disappointment. I liked a lot of the colors from the line but only two really stood out from what other beauty companies have had for years. Regardless of this downside, it was great to learn about the brand and enjoy a little fun in awesome weather.